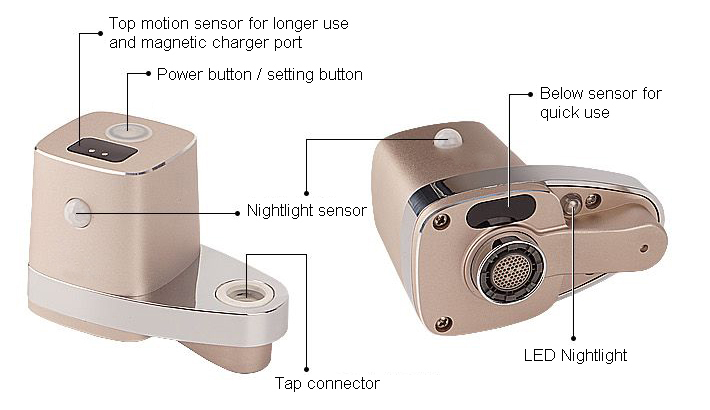 This Infrared Motion Sensor Tap Adaptor helps prevent the spread of germs and lowers water consumption at home. It is easy to install and looks elegant in any setting with its beautiful aluminium casing. 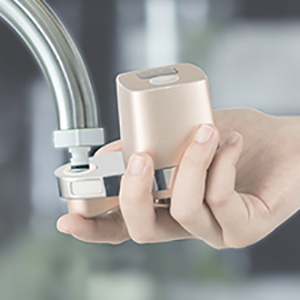 It can turn any regular tap into a touch less, smart device and features two sensors for short and continuous water flow. The motion sensor night light makes it easy to get water in the dark and its powerful battery can be charged magnetically ( charger included ) and lasts up to 8-10 months per charge. 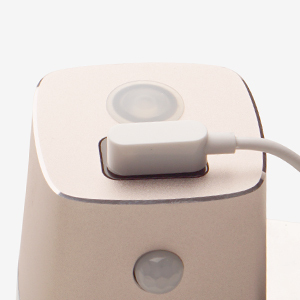 Bottom Sensor for short bursts and one on the top for continuous use. Anyone can install in a matter of minutes. No need for a plumber to replace existing taps - simply click the adaptor into place. Within the housing, we installed an activated carbon fiber composite filter to purify 100% of the contaminants. The product comes with 3 filters. There is no need to turn the main lights on, this dimmer and less intrusive light will guide your way to the tap. The motion sensor prevents the nightlight from turning on during the day and there are 7 nightlight colours to choose from. The powerful built-in Lithium Ion battery lasts for 8-12 months per charge. With magnetic recharging and long battery life, it consumes minimal energy. Through extensive testing it was found that it saves up to 65% of household water! The product will also automatically turn off after 3 minutes of continuous activation.